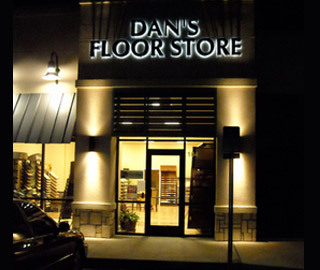 Dan’s Floor Store is a family-owned and operated flooring business, specializing in hard surface flooring. 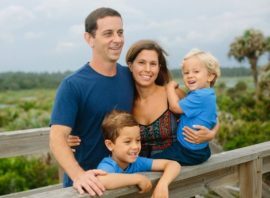 Owner/Operator, Dan DiCarlo has over 15 years of technical experience with installing engineered and solid wood flooring, laminate, luxury vinyl plank, and tile. Dan is also skilled at wood floor refinishing and restoration. He sells and installs the hard surface flooring featured in our flooring store. Our Dan’s Floor Store showroom is located in Ponte Vedra, Florida near the Beach and also near the popular Nocatee neighborhood on US1, just one mile south of CR 210 – in The Shoppes of St. Johns Oaks. We believe it’s important to use quality materials, for lasting results, which the client can enjoy for years. That is why we provide and install the highest quality hard surface floor coverings (wood flooring, laminate, luxury vinyl plank, and tile) at affordable and competitive prices. We treat every customer with respect, and we pride ourselves on being a company with integrity. Dan’s Floor Store is dedicated to building and sustaining relationships with our clients. We are proud to say that the majority of our business is returning and referred customers. Dan’s Floor Store informs our potential clients about the benefits of hard surface flooring and the choices available in quality wood flooring, laminate, luxury vinyl plank, and tile products. We provide free in-home estimates, measurements and consultations. Dan works 1 on 1 with each customer from start to finish – including product selection, scheduling, order placement, delivery, installation, refinish, and final walk throughs. We treat each home as if it were our own, and we look forward to working with you!